The Kindle version of my book is now available. Peace on the Journey is enrolled in Amazon’s Matchbook program. This means that if you already purchased the print edition in the past (or purchase one now), the Kindle price is reduced by 50%. It has been a remarkable experience for me to read my own book in this new edition. It feels as if I had published it for the first time. Also, in my Kindle library (organized by Amazon), my book “sits” alongside Thomas Jefferson and John Keats. What a thrill! This entry was tagged Kindle. Bookmark the permalink. ← Peace on the Journey is Available! 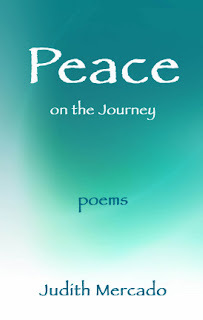 Peace on the Journey: Poems Is Available! The poems of my book Peace on the Journey explore the theme of renewal in the face of adversity. US order LINK. Or click on the above book cover image. The Kindle version is in process and will be available soon.